Built in 1892 along the banks of the Crystal River, this building is often called the Dead Horse Mill. 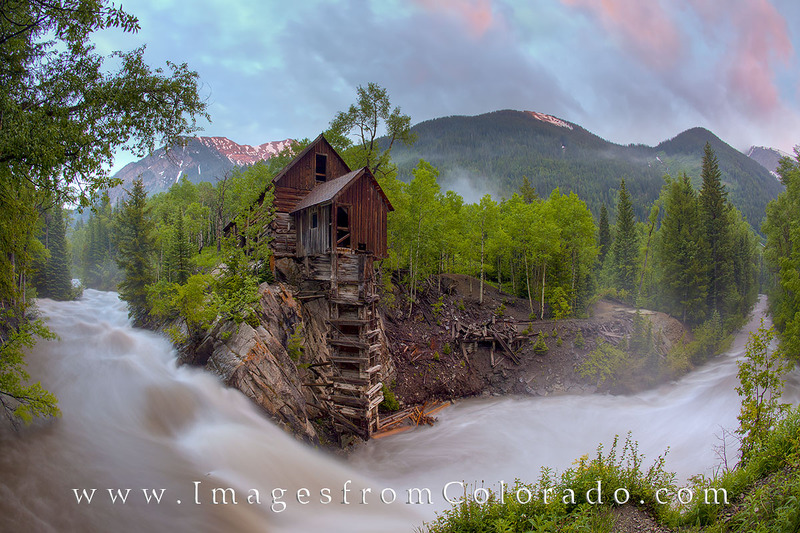 The old mill is found along a very bumpy 4WD road near Redstone, Colorado. Just up the dirt road from here is Crystal, Colorado, an old town with few permanent residents. Photo © copyright by Rob Greebon.